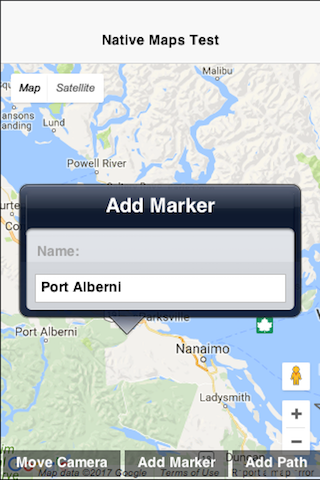 This app demonstrates the use of The Google Maps library to embed a native map into a Codename One app. The app itself is basic. It contains buttons to add markers and paths to the map, as well as reposition the camera. One subtle feature that this app demonstrates, is the ability to render Codename One UI components over top of a native component.